The 1:1 V2 rocket build is progressing. Today Jase continued work on the fins & we got to see the central airframe for the first time. 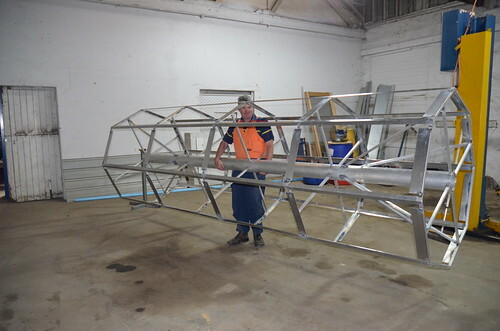 Here's Jase hard at work with one of the 4 massive fins that will go onto the V2. The fin itself is made from aluminium box section with a core of styrene foam. 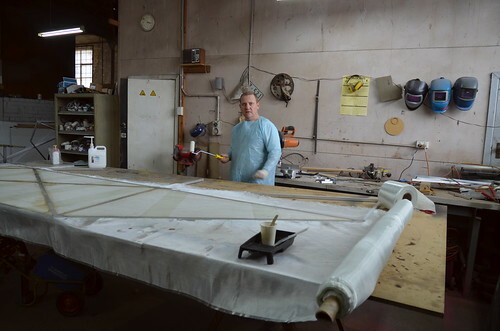 The whole assembly is then clad in fiberglass cloth & resin. Due to the overall size of the rocket once completed, these fins are approximately 3" / 75mm too narrow compared to the original V2. The reason for this is that had the fins be the correct size, it would exceed the maximum allowable limit for road transport! A fin extension will be fabricated and attached prior to launch. 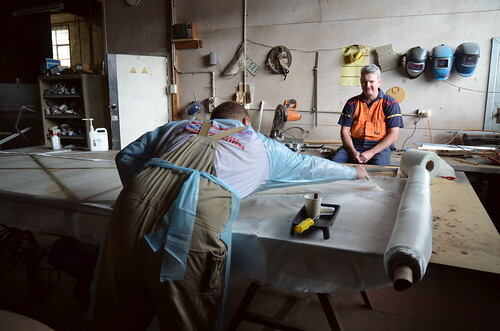 Here's Karl watching on in amazement at Jase's skill with the fiberglass! 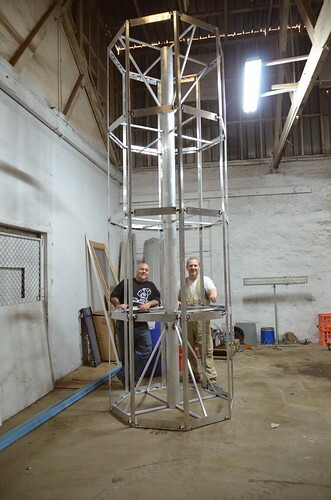 Jase and myself standing by the airframe for scale. This is crazy tall!